As recently promised at How to Make Money Online with Blogspot, AdSense and Clickbank for Free below I provide a free Blogspot SEO/AdSense Template called Rounders 2 (one of the original Blogger templates). The free BlogSpot AdSense template is pretty much what I use on my blogger blogs and are reasonably well search engine optimized: not as much control over the SEO with blogger as with WordPress (my preferred content management system CMS). I’ve been using this Blogger template myself for quite sometime (I own a few Blogspot blogs :-)). SEO/AdSense Template Rounders 2 is fully search engine optimised. Like with my WordPress AdSense/SEO themes only the home page and archive pages uses a H1 header for the name of the blog in the header area (the big blue block at the top) on single blog posts the name of the blog is within span tags instead of H1 headers (no SEO benefit wasted). Headers are not wasted on the sidebar menu, (most Blogspot themes use a H2 header which is such a waste of SEO benefit!) on the home and archive pages the name of each blog post is within a H2 header as a link to the single post, (or archive page if you have single posts disabled: recommend you have single posts on). On single blog post pages the title of the post is within a H1 header (on most Blogspot themes it’s a H2 because the blog name is in the H1). This is all basic SEO 101 for me, but 99 out of 100 times missed on other templates (that’s for Blogspot and WordPress themes). The title tag is formed with SEO in mind, home page and archive pages the name of the blog is used for the title element (so ideally name your blog with a keyword or two). On single blog posts the name of the post is used as the title element: name your blog posts with SEO in mind (that’s keyword rich titles) and you’ll do well in the search engines. Although meta tags hold no real value these days I’ve included the description meta tag and keywords meta tags. Trust me from an SEO perspective they are worth no more time discussing. Things I don’t like about Blogger/Blogspot as an SEO expert. Since there’s no Categories in Blogger/Blogspot you have to use the monthly archives to get your blog fully indexed, these pages are not very good SEO wise (in WordPress I never use them, I use Categories which add SEO value). With Blogger we are stuck with them as otherwise the site won’t be fully spidered and indexed! Unfortunately the anchor text to the archive links are useless (the anchor text format is 01/01/2010 – 02/01/2010), so you should treat the archive pages as a sitemap (they will not pull in much traffic). To protect link benefit AND more importantly reduce SEO damage caused by the poor anchor text I set the SEO/AdSense Template Rounders 2 to only show the archive links on the home page and other monthly archive pages. In this way your single blogs posts (which should pull in most search engine traffic) are not damaged by a dozen or more text links with poor date related anchor text. I’m happy with the AdSense placement etc… of this theme, if you’ve used my WordPress AdSense/SEO themes you might be a little disappointed with the lack of easy option changes, but it’s Blogger and their template code is not as easy to manipulate as WordPress code is. I have the AdSense code set to blend the colours with the theme, there are 6 AdSense code sections and if you wanted to change the colour scheme or ad sizes you’d have to manually edit all 6. If you are happy with the ad sizes and colour scheme all you have to do is search and replace my Google AdSense publisher ID with yours, You must do this on all 6 code sections, easiest way is load the template file into a text editor and run a simple search and replace. Not a great deal I can add about the AdSense ads, they are placed in key locations that I’ve found works well. The Blogspot theme is fully search engine optimized and AdSense optimized and requires one simple search and replace in a text editor to replace my Google AdSense publisher ID with yours. 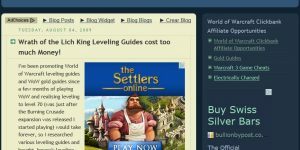 The theme uses the old Blogspot legacy code which means your Blog has to use the original Blogger coding (can’t use their new widgets/gadgets), but it’s a small price to pay for an SEO/AdSense ready Blogspot theme (especially a free one). I have had several of my free Blogger blogs deleted as spam blogs. They are getting harsh. Not as harsh as WordPress I guess but harsh just the same. 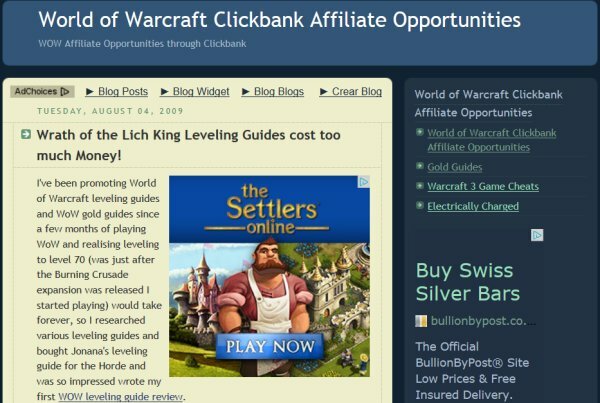 I guess they don’t want advertizing on their blogs. So i got excited about this but when i tried to upload the file here is what it said. “Your template could not be parsed as it is not well-formed. Please make sure that all XML elements are closed properly. 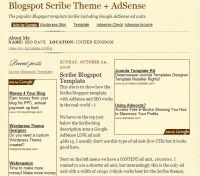 Means you are installing the Free Blogspot SEO/AdSense Template Rounders 2 in the new template format. When you’ve logged into Blogspot click the Template link for the site you are working on and at the bottom of the page is a link to “Revert to classic templates”, click the link and paste the code into the template form. Iv been looking for a theme like this for ages. is it possible to add this template to my blog. Problem with "enable float alignment"
Blogger adds before and after this tag . And I can’t disable the float alignment bc the new dashboard does not have the option. How can i fix this? it looks like classic mode is gone? I just edited there with your template but I don’t see the option to return to classic mode. I do see a field to put in html.